You are going to be so happy you stopped by today because I have something very special to share. This is a first for me…so I’m honored and excited at the same time! I have already introduced you to the talented Tracey Gurley, creator of Tracey Gurley Designs on Etsy. 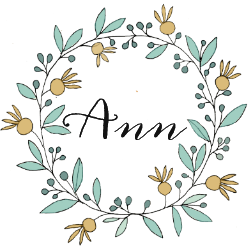 She is an amazing watercolor artist and generously allowed me to use some of her graphics for my Christmas 2014 printables. 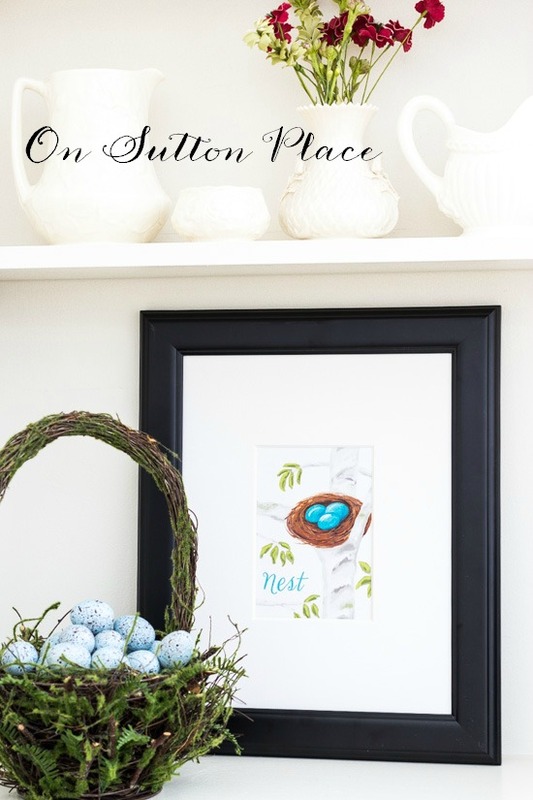 Today she is sharing, exclusively with the readers of On Sutton Place, a spring-inspired Free Nest Watercolor Printable. You won’t find this any place else because Tracey made it just for us. Prints similar to this one can be found in Tracey’s other shop called Print and Frame Art. She offers, for an incredibly reasonable price, printables of her original watercolors. 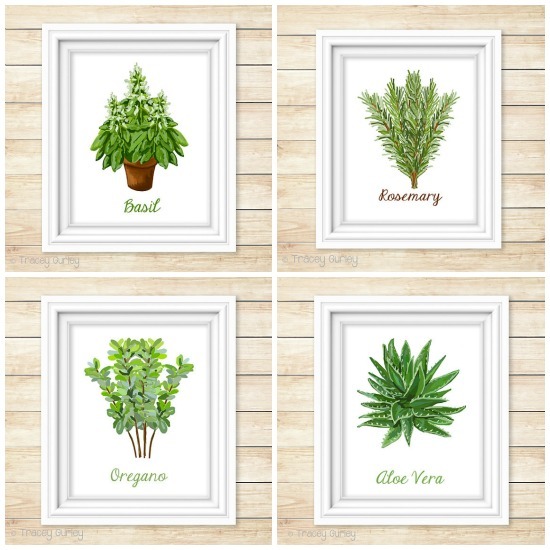 Just purchase, download and print for instant DIY wall art. 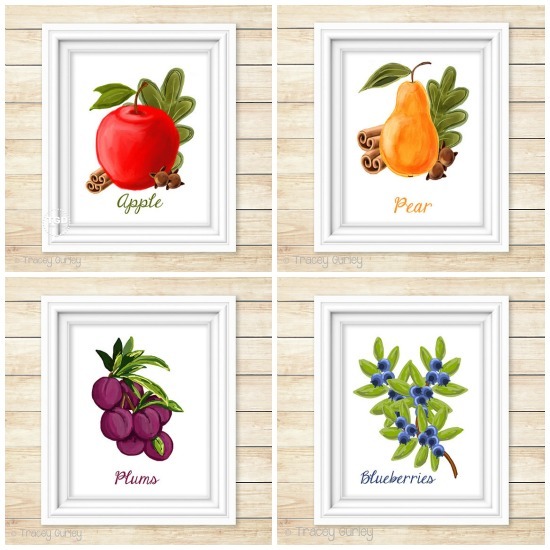 Tracey has gathered the prints into sections like “Fruits & Veggies” or “Plants & Trees.” I think grouping three or four together would make quite a statement. They would be perfect for a gallery wall as well. 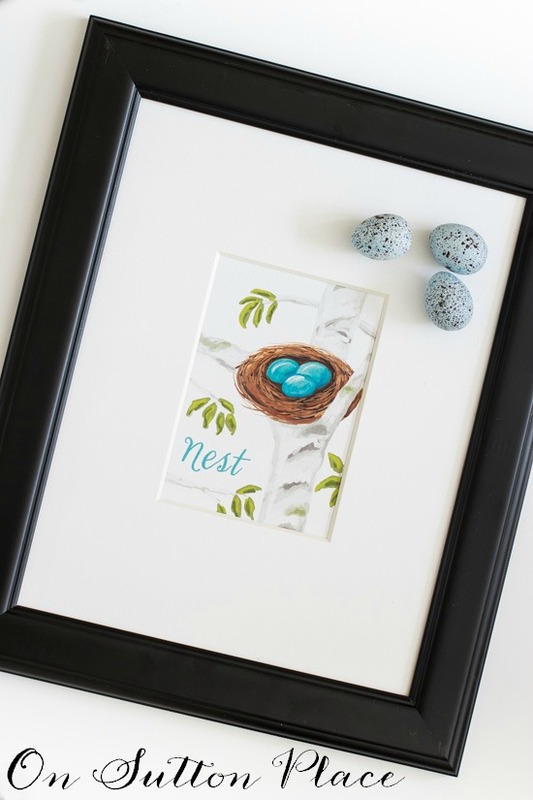 Here is the Nest printable framed and beautiful. After I downloaded it, right on the page where I print, I chose the 5 x 7 option so the image was shrunk just a little. It fit perfectly in the mat opening. If you want to frame it as an 8 x 10 you don’t have to make any adjustments at all. I admitted a few weeks ago that I still had a Christmas printable on the shelf in my living room. 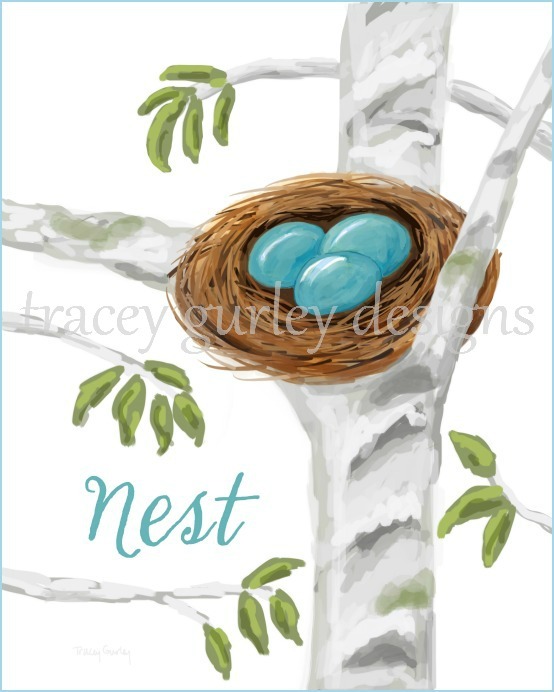 I switched it out for this Nest printable and it’s the perfect touch of spring. This is such a simple thing and if you already have a frame it’s basically free. I think it’s lovely and it makes me happy every time I walk in the room. Anything that does that is a home run in my book. If you would like some new art work that won’t break the bank just visit Tracey’s shop Print and Frame Art. If you purchase something, make sure and tell her that you came over from On Sutton Place. Enjoy your day and wherever you are, I hope the sun is shining! These are such wonderful prints, I can feel Spring already just looking at them. Thank you Ann and Tracey for bringing these wonderful prints to us. I love my fellow Esty friends, thanks again to you both. Just perfect for early Spring. Thank you and Tracey. Can I ask what type or weight of paper you find works best for printing at home? With computer screen colors so variable do you find the colors on your computer screen the same as the print out? Thanks again. Thank you! I did not know about matte presentation paper. Will search for it and see what I can do with the settings. Trying to troubleshoot any printing issues before using a lot of ink. Thanks again. Beautiful, def will go on her website, thank you so much to you and to Tracey for offering this burst of spring…. thank you both for offering such a darling printable! Thank you Ann and thank you Tracey!! Love this printable, thanks so much for introducing me to her. I am going to try it decoupaged on a glass tray! It’s so sweet, I just love it. Pinning! Oh Ann – can I tell you how much I love the printable, and all the ones you do. I have them printed at my local UPS store and all the employees tell me that I am one of their favorite customers when it comes to printing beautiful prints! The ones at Christmas were wonderful, please keep doing this for your “non-artistic” readers! Love the Nest printable. After our winter of SNOW and more SNOW this is a breath of SPRING! Hi Ann! Oh, this is just the sweetest artwork and I thank you for sharing it with us. She is very talented and give her my thanks. Hope you’re doing well.